Yesterday was a particularly nice day, as I finally got my first book review on Amazon. It’s always a bit scary putting yourself out there and wondering if something you’ve written will resonate with anybody else. But more than anything else the scariest feeling is the idea that nobody will read it at all. And so just knowing that somebody found the story entertaining and worthwhile put me in a happy place. It might not seem like much, but it definitely meant a lot to me. And it’s pretty surprising how it’s rarely the elaborate things that give us joy in life, but the everyday simple things that can put us into the right mood and give us a sense of peace. A gesture of kindness from a stranger. A good workout session in the morning that puts you into a productive flow for the rest of the day. Learning something new, and applying it properly to the development of a fresh skill. Or just being able to share a laugh and a smile with the person you love. There’s really hundreds of different experiences throughout the day that make all the difference in our lives. And it hardly ever seems to be the crazy things that actually bring us all our happiness. I’ve made up my mind to not take any of those things for granted. Aside from all that, I’ve recently been reading The Light Fantastic by Terry Pratchett, which I’ve been enjoying immensely. I’d read the Colour of Magic some time ago and loved the voice of the story, but hadn’t gotten around to reading any other Discworld books since then. I was initially intending to read just Mort next as I’d heard that it was one of the best in the series, but I’m instead reading the exact next story and second book. I’ve read that The Light Fantastic is the only Discworld book that follows directly after the preceding book in plot, but even if the following stories don’t read like an exact continuation of the series I’m feeling altogether hooked and a bit worried since each of these stories costs $10 and there’s 41 of them. I’m getting sucked in, but I’m not entirely sure I mind. It’s been a great read so far and from everything I’ve heard the stories only get better the deeper into the series you go. Reading always puts me into a good mood, and I’m happy to get to experience this story in sips and gulps here and there whenever I have the time. Just another one of life’s simple pleasures. Out of all the years I’ve followed political commentary, few shows have struck the delicate balance that Last Week Tonight has struck between being informative and being entertaining. I usually prefer outlets that don’t have too much of a lean, and I like watching unique interviews from journalists I trust like Charlie Rose. I find watching BBC News to be a decent alternative to most US outlets since they tend to have less of a political bias being an ocean detached from the issues in play in American politics. And I usually shy away from comedic mediums for news. But I’ve found myself particularly drawn to Last Week Tonight’s approach to covering issues more and more, and it seems like they’re only getting better with every passing season. Episodes are on average half an hour, which is impressive enough already. Few shows can hit on important issues for such a long period of time while also not losing the viewer’s attention halfway through. 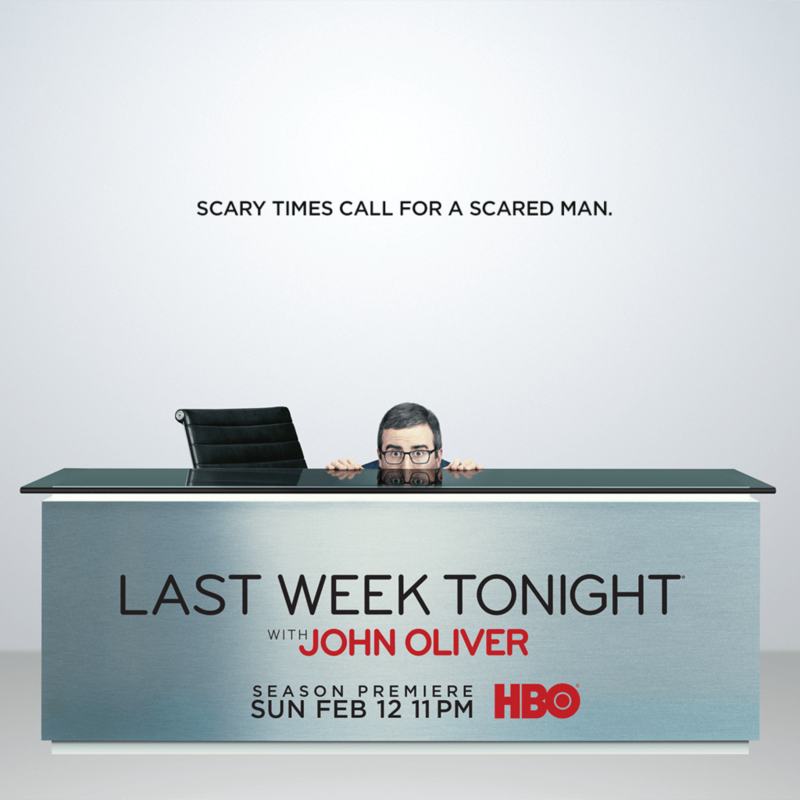 And it doesn’t hurt that John Oliver has a lovable British accent, and actively markets himself as being terrified of the wrong direction humanity is going on certain important topics. It just adds a little bit of flavor to the experience. Especially during a time where it feels many legitimate news outlets are consistently being discredited, it’s important for there to be an outlet where views contrary to reality look hilarious and ridiculous through the cunning use of actual facts. And I find that though they do have a pretty strong lean to the left, they still do try to explore multiple angles of an issue. Out of all the years I’ve followed political commentary, few shows have struck the balance that Last Week Tonight has struck. It’s just the right blend of quality content mixed with absurd jokes that are barely contextually relevant enough to entertain you while maintaining your interest in the main topic of the show. And one of the more important topics he’s touched upon lately is the topic of net neutrality. The most recent episode was a continuation of one made three years prior, and it’s a topic which will likely have sweeping implications if the laws do get altered. If changed, it would give internet providers the power to determine which websites would get priority over others, presumably for a fee. So companies would be able to pay service providers to give their sites priority over competitors. This would potentially leave room for greater monopolization by bigger players, since smaller companies might not be able to pay for higher prioritization over competitors, and have one additional hurdle in getting their feet off the ground. And potentially a crippling one, depending on how heavily internet service providers choose to wield their power. That’s just skimming the top of the topic. And all things considered political topics are difficult to get anybody to care about since they can get so mind-numbingly boring when you get into the laws. So since it’s hard to understand, it’s hard to pay attention to. And the insidious build of these decisions in affecting everyday people negatively is a piece of the problem. Once there’s a problem present, and people of power are benefiting from the new state of affairs, it’s easy to muddy the waters and prevent people from ever getting to the root of what’s happening to prevent any meaningful movement in the right direction on issues. Which brings to mind a pretty poignant quote that I recall hearing in this first net neutrality video. It’s sad, just how well that works. Momentum is only ever conserved in closed systems in Physics. But when it comes to progress and getting things done in life, it takes constant effort and work to maintain it. Productive routines should be cherished, and re-enforced constantly when you have them down. It’s all too easy to re-establish bad habits long after you thought they were gone. But when you’re in a good flow, and you have productive routines, you have to do everything in your power to keep doing them. And you have to figure out specifically why they’re working, so you can replicate that sort of productive flow. I think we all do our best to maintain productive habits. Among them crafting systems that work for specific projects you have to do repeatedly, waking up earlier, researching and planning out ways to optimize the results of future endeavors so you give them the best shot at success, exercising consistently for improved energy, etc. etc. It’s just about impossible to list them all. But one of the most important aspects of maintaining momentum is the ability to adapt. We can set into place rigid systems, but if we lack the fluidity to change our approaches to best maintain our momentum, then we risk stagnation. And oftentimes, an approach that worked for a while may need to be tweaked to improve its efficiency. Or scrapped altogether for a better way of doing things. It’s well documented that adaptability is just about the most important trait for dealing in the modern world. Things change so much faster nowadays than they did centuries prior. We can have systems, many of which will always be relevant and work regardless of changing outside circumstances. But for those situations where external circumstances affect momentum, you have to modify your systems to keep moving forward. Which reminds me a lot of a Bruce Lee quote that I heard a long time ago tangentially related to this thought of adaptability and maintaining flow. Westworld Season 1 blew my mind. I really enjoyed it while I watched it. But after having finished the season, the more I think back on it the more I feel impressed with the way the show was paced and layered. There were apparently some hiccups during production, but it really doesn’t show in the finished product the execution is incredible. You could write a whole series of blogposts on Westworld and the subtleties of what’s happening in the show (especially the moral questions the show raises), but one thing in particular that really struck me was the way they used music in the show. In particular, two Radiohead covers really caught my attention and left a mark on my mind. The opening of one episode starts with a pianola playing a cover of Radiohead’s song “Fake Plastic Trees,” a fitting song given the fake nature of the world which these people vacation into, and within which these androids live and die in an eternal recurrence. The song already fits into the opening sequence just as a nice background melody, but the depth of meaning of the song choice just adds another layer to an already well layered and well thought out masterpiece of a show. The song haunted me so much so that I had to look it up, and I was surprised to see that another song that haunted me within the episode was a Radiohead cover as well. I’ll do my best not to give too many specifics for the risk of mid-season spoilers, but the soft, harmonizing cellos of this cover are incredible during one particular scene during which an android experiences the world behind its reality. And as the android realizes its world was a lie, and all the bodies of androids all around are fake, you can just feel the hurt of that reality descending upon this character. The opening lyrics of the song are “Red wine and sleeping pills,” a deadly combination, and the song closes with the lyrics “I will see you in the next life.” This mirrors the android’s needing to kill itself over and over to go back to the real world and learn about the truths of its reality, and its next life is oftentimes as soon as a few short hours past the point at which it died. The parallels with the song and the moment within the episode blew me away once I started digging into them, and there’s just something incredibly melancholy about the song that seems to reflect the hurt and angst of a suddenly sentient being coming to understand what’s happening behind the scenes of its life, and experiencing that raw disillusionment and becoming hungry for more understanding. If you get nothing else out of this post I hope you at least give those songs a try, they’re worth a listen without any knowledge of anything beyond the instrumental music itself. And if you can stomach a good vicarious existential crisis or two, Westworld might be the show for you. I’ve heard you can get the equivalent of full time university education through just listening to audiobooks while driving throughout a year. Photo courtesy of Unsplash.com, the best website for ‘do whatever you want’ pictures ever. I got into audiobooks over the course of the last few months and I’ve all ready listened fully through seven of them. I do have to drive a lot, so realizing just how much more productive those moments can be was eye opening. I initially made the mistake of trying to stream the audio while on my data the first day I tried it, but I now realize that was really ridiculous and I download them in totality while on my Wi-Fi before heading out. I also don’t feel quite so distracted driving with audiobooks as I do listening to certain hype songs, so in a way it’s safer. When it comes to free audiobooks Livribooks was the first one that popped up for me on the Google play store, and that’s the one I’ve been using. It’s amazing just how many great books are out there in the public domain for consumption, and how many of them are fully recorded. Some of the books jump between people between chapters though, and the sound quality isn’t always consistent. But the quality of the actual knowledge is still there so long as you can understand the speakers. This is seriously something I can’t believe I wasn’t all ready doing, and I don’t have any plans of stopping soon or ever. If anybody has any audiobook suggestions it would be much appreciated I’m mildly addicted right now. I feel like I’ve learned a lot over the last few years, but I’m nowhere near at the bar I’ve set for myself. I’ve paid a pretty heavy price in certain arenas, but I’ve never believed regret to be a productive practice. Things have changed a lot for me recently, for the better. I feel like I’m in better health now than I’ve been in ages. I’ve found myself meditating a lot more consistently, a practice I hope to finally transform into a habit. I’m exercising consistently again. I’m paying greater mind to my nutrition. I feel spiritually stable, relationships are solid, and I’m in a really peaceful place all things considered. I feel blessed, and I won’t take my blessings for granted. But when it comes to writing, I still don’t have an agent. I take it that means I need to work harder than I have. It’s a longer road than I ever intended, but there’s joy in the process. And I’m feeling happy. I feel like I’ve caught some breaks lately, but it’s not always easy navigating life. The world’s such a stubborn place. Everything feels so rigid and unbending at times. Very unforgiving terrain. Sometimes you just need a release, before you dive back into finding your way. Writing can set you free. When you really get to thinking about it, life seems impossible. Everything about reality feels surreal upon a more thorough analysis. How we’re even here to begin with. How we can think on the absurdity of our being here. How we can formulate our imperfect thoughts into words and put them into text. There have been moments where questions like ‘why the hell is any of this here’ have left me in a place of existential angst and confusion, but after a good period of rest and persistent relaxed living I find myself only in a place of wonder over a question like that. It’s a different perspective for me. Perhaps it’s a temporary one, but it’s certainly my current one. And I think wherever stress can be mitigated in life, that new approach should be embraced if the stress itself can no longer be sublimated. I’m writing this shortly after waking up, so I’m in a place between awake and dreaming, which only compounds the surreal emotions I’m feeling. And I remember reading a long time ago that that was largely how Murakami went about writing most of his surreal feeling stories. He’d get up, half awake, sit as his desk, fade in and out of consciousness, and whenever he got the urge he’d put down something extra strange to the paper without holding back. Without worrying about making it perfect right then and there. I love writing. But I often find myself combing back over things I’ve written and ripping them apart before they’ve ever been ready by anybody else. A tendency I’m sure most people who write have. Not necessarily an awful trait, but it becomes detrimental to productivity if it bleeds into a state of perfectionism. Which calls to mind a personal favorite Murakami quote that has always stuck in my mind since first I read it. There are so many simultaneous lives happening every moment. On a day’s commute you pass by countless other people. Sometimes hundreds in rapid succession driving. Every so often you catch a brief glimpse of another’s moment, so much conveyed instantaneously in just a look. Some smiling, some yelling at their dashboards, some staring off at nothing in particular besides road and monotonous destination. Pedestrians walking the city, people sitting at benches, sitting on their front steps, people mingling at street corners, so many people. A story behind each of their lives. A story in the midst of their lives. And a moving epilogue of a life’s long tragicomedy written in every expressionless expression. We can’t ever know the full extent that others are fighting their battles. And there’s some background sense that nobody but the individual and perhaps a Higher Power can understand each discrete and authentic existence in effect. But I’m in one of those moods where I wonder what it would be to experience each life as it occurs, simultaneously, that I could fully empathize with each. And better understand. And how it would be, if only we could all better understand each other. And it calls to mind a Steinbeck quote that perfectly encapsulates what I’ve felt sporadically every day of passing countless strangers. I wish I could see them all.